Check out this FREE full color guide to Architecture, Home Plans, and interior design. This image-packed glossary details the equipment, tools, tips, techniques, and structural components involved in architecture and home improvements. View a diverse selection of stunning architectural forms, interiors, landscapes, and more. Start here to make your Home Plans come true. PAVILION: A roofed outdoor structure, sometimes known as a gazebo. 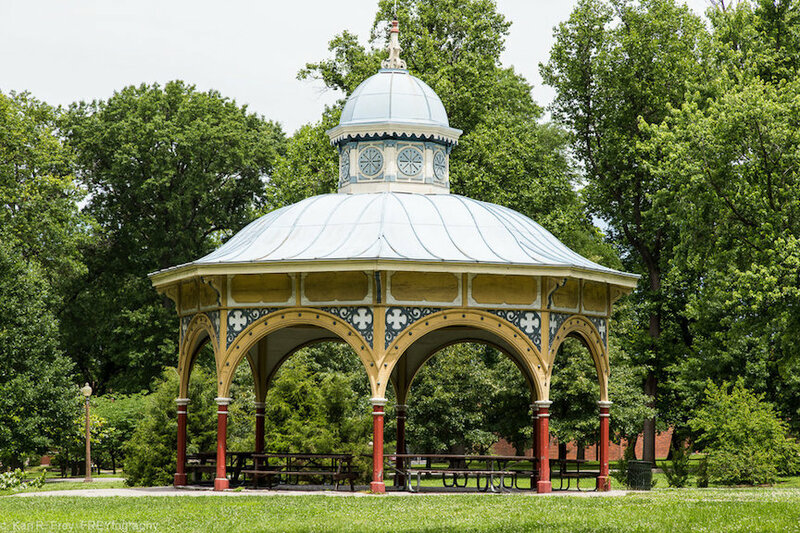 Shown below, the old Playground Pavilion at Tower Grove Park in St. Louis, Missouri. PILLAR & POST FOUNDATION: A collection of carefully measured posts the a house can rest on. This type of foundation creates a crawl spce. Pillar & Post is a common type of house foundation, included in many architectural home plans.